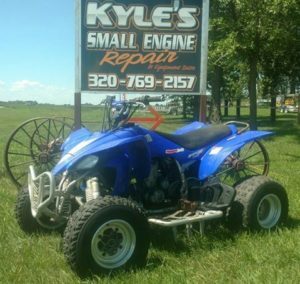 There are always specials, new arrivals and recent trade-ins in stock at Kyle’s Small Engine Repair & Equipment Sales. 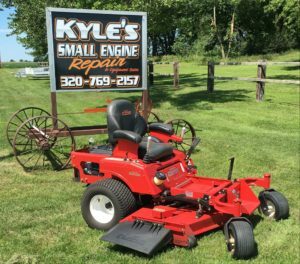 We are accepting trade-ins on used equipment such as: lawn tractors, push mowers and zero turn mowers all the time! Check with Jessie at 320-769-2157 to find out what is currently available. 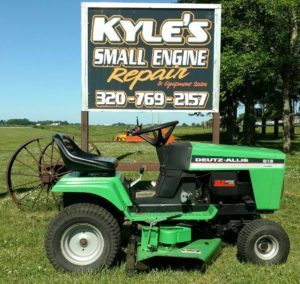 The used mowers go fast so inventory changes almost daily. 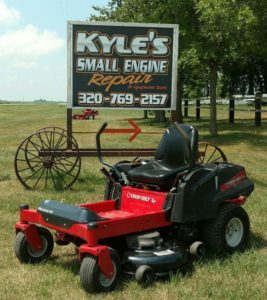 Check back often for details on our latest promotion or newest products available at Kyle’s Small Engine! Available by appointment outside regular business hours and on weekends. Call Jessie at 320-361-0103.